References contain details of information sources used in your assignment, including the authors, title and date, etc. They are presented as an alphabetical list at the end of your assignment. 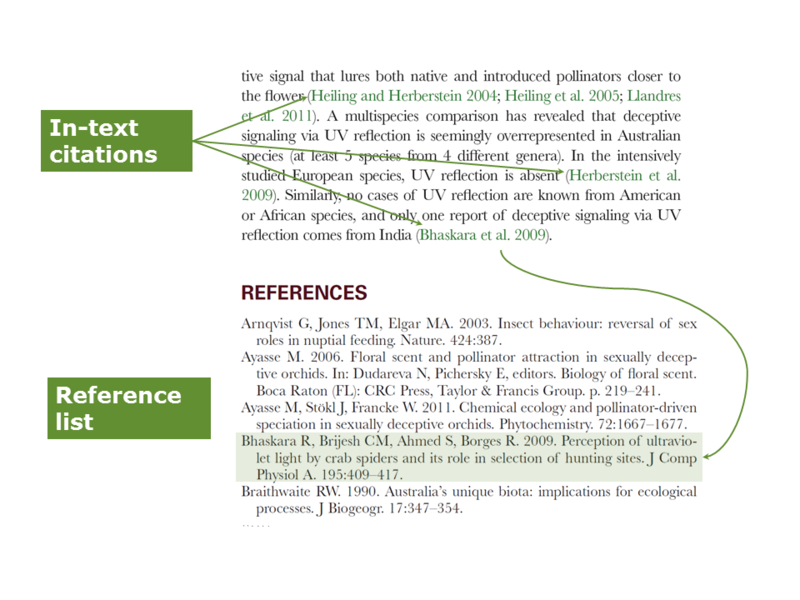 Citations appear within the text to show the reader which reference relates to that information. The citation guides the reader to the reference, and the reference tells the reader where to find the original source of the information. Herberstein, M. E., Baldwin, H. J., Gaskett, A. C. (2014). Deception down under: is Australia a hot spot for deception? Behavioral Ecology, 25(1), 12–16. doi:10.1093/beheco/art105.